The small private clinic was echoing with mixed voices – those of ear-piercing shrills and loud excitement. Waiting to see my doctor, I realised the commotion in the maternity section with nurses rushing through a storm of women – aunts and grandmothers waiting on news of a baby child. 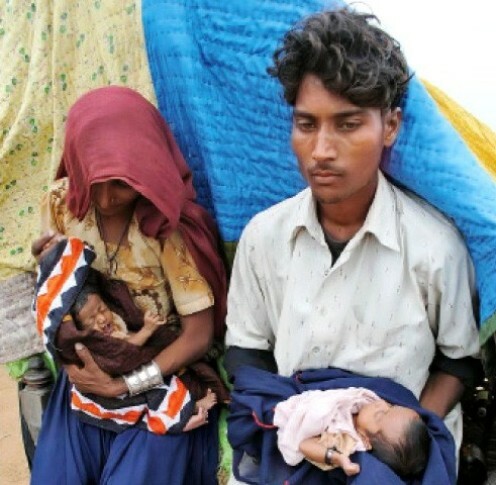 It turned out to be another struggle to convince male members to take the mother for proper postpartum medical treatment. The mother turned out to be a 14-year-old meek child with sunken eyes and an anaemic body. Married at the age of 12 to a man old enough to be her father, Maria only knew of marriages as an exciting event of music, gifts and beautiful clothes. She was least aware of what happened when the guests left the house. 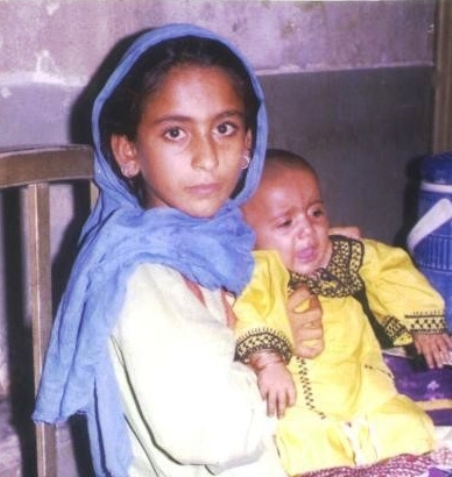 Working as a domestic help in Karachi, Maria, 17, is a mother of two girls now, sole breadwinner and a silent witness to the hardships she continues to endure, both mental and physical during her five years of marriage. Maria’s story is no different than one in every three girls who are married as child brides in Pakistan. She is one of the 42% of girls in the country (24% from rural areas and 18% for urban areas) who are married before their 18th birthday and amongst eight per cent of adolescent married women who already are mothers between the ages of 15-19. Maria is also a lucky survivor. Pregnant girls under the age of 15 have a five per cent higher chance of dying due to childbirth complications than women in their 20s. The situation becomes more alarming as the world celebrates Universal Children’s Day today. The United Nations (UN) defines a child as a person below the age of 18, unless the relevant laws recognise an earlier age of majority. November 20th marks the day on which the UN Assembly adopted the Declaration of the Rights of the Child in 1959 and the Convention on the Rights of the Child in 1989. Pakistan ratified the Convention on the Rights of the Child on November 12, 1990. Signatories to the Convention, including Pakistan, agreed to provide children the right to survival; to develop to the fullest; to protection from harmful influences, abuse and exploitation; and to participate fully in family, cultural and social life. The four core underlying principles of the Convention are non-discrimination; devotion to the best interests of the child; the right to life, survival and development; and respect for the views of the child. Twenty five years on, sadly, much is left to be desired. 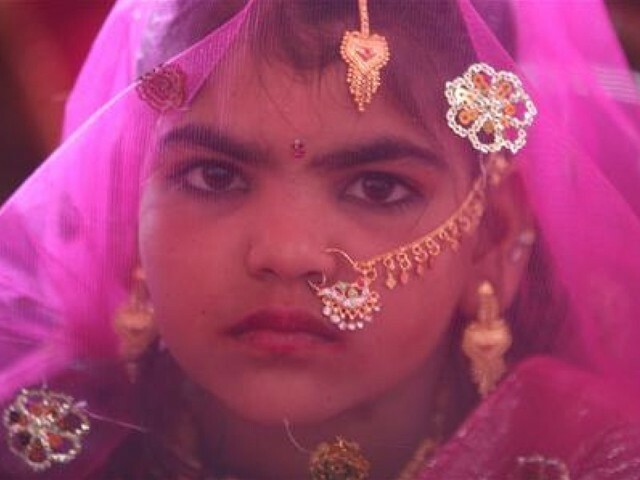 Globally, almost 39,000 girls become child brides every single day. A whopping 15 million girls under the age of 18 are married every year with little or no say in the matter with 70,000 girls dying in labour every year because their bodies aren’t ready for childbirth. One out of nine girls are married off before their 15th birthday, some as young as eight or nine in the developing world alone. In Pakistan, seemingly harmless and often garbed as cultural tradition, early marriages both of boys and especially girls tends to expose them to a far greater risk of experiencing dangerous complications in pregnancy and childbirth, becoming infected with HIV/AIDS and suffering domestic violence. Neither physically nor emotionally ready to become wives and mothers, early marriages also deprive these girls from education and economic opportunities, resulting in a vicious circle of abject poverty that they and their families are unable to come out of their entire lives. Speaking of traditions, our socio-cultural dynamics cannot be ignored while analysing the issue. Time and time again, our governments have failed to curb the practice of early marriages especially when it is so deeply rooted in our culture. Vani, Swara, Vulvar and Watta Satta are just some of the traditions that play a significant role in early marriages. The mind-set that considers girls an ‘amanat’(entrustment) that has to be handed over to her in-laws, the fear of insecurity and shame that an unmarried girl might bring on the family makes parents often try to get rid of this “huge responsibility” as soon as possible. Another harsh reality is marrying off girls under the guise of dispute settlement. Girls are given in marriage to the men of wronged families to settle disputes or debts. These girls then become modern day slaves and pay for the ‘sins’ committed by their male relatives. Misinterpretation of religion and Shariah is another factor that keeps majority of the population in the dark and encourages this malpractice. Earlier this year, the Council of Islamic Ideology’s (CII) ruled out laws related to minimum age of marriage as un-Islamic and declared that children of any age can get married under the supervision of their guardians, who are responsible for ensuring consummation of marriage as soon as children approach puberty. There was some positive progress on the law front in April this year where the Sindh Assembly passed the Sindh Child Marriage Restraint Bill 2013 prohibiting marriage of children below the age of 18 years. The Sindh Assembly became the first assembly in the country to pass a bill of this kind. However, the effectiveness of this bill is yet to be seen. 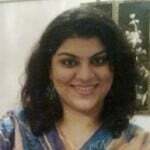 Pakistan has no dearth of laws. All it needs to do is to ensure implementation for swift justice. Interestingly, Pakistan has long been a bearer of the Child Marriages Restraint Act 1929 which has discouraged child marriages since the past 85 years when it was first enacted during the British Raj. The law was amended in 1981, where the marriageable age of a girl child was increased from 14 to 16 years while it was decreased from 21 to 18 for boys. Despite a punishable act by law, the Act could not gather momentum as it discriminates between marriageable age for boys and girls. Moreover, under the Act, when marriage involving young children takes place, the adults who agree to the marriage and arrange it, are supposed to be punished, but the marriage does not stand dissolved. The implementation of this law, like many others, remains non-existent to date. Currently, marriageable age for a boy stands at 18 whereas it remains 16 for a girl (except in Sindh). The Civil Society points out a valid argument – if the legal age for a girl to vote, drive, maintain a bank account or apply for a National Identity Card (NIC) is 18, how can she be considered eligible to take up the responsibilities of a married life at 16? Although poor law implementation has been a hindrance, let us not forget the structural flaws and lack of civic responsibility in our society that slows down the process of recognising and reporting incidences of early marriages. There is a dire need to sensitise social actors at the grass-root level such as teachers, community and religious leaders, nikkah registrars, union councils and other district/local level public body representatives who are most often at the helm of local affairs. They can play a critical role in influencing parents and families to not marry off their ward(s) young and at the same time stop the act by intervening and reporting to concerned law enforcers. Simultaneously, it is upon the police personnel, lawyers and judges to take immediate action in implementing the law in letter and spirit without any discrimination or delay. The media, with its massive outreach plays an equally important role and needs to understand its own potential in reaching out to the masses with correct, impartial and non-judgmental information. We, as a nation, need to stop putting the blame on the government every time and instead hold ourselves accountable for the change we inspire to see around us. And of course, educating the youth to enable them to understand, effectively respond to and claim their social wellbeing and their right to choose is detrimental for their growth as healthy and productive citizens. The non-governmental sector in Pakistan has been keen on preventing child marriages across the country. In the past few years, we have witnessed several national and international NGOs working in most rural and far-fetched areas with community based organisations and in partnership with donor agencies and international governments. They have been working on various gender justice programmes, awareness and inclusion programmes, reproductive health rights services programmes, gender mainstreaming and governance programmes to empower women and strengthen local communities so that they are able to exercise their right to wellbeing; ActionAid Pakistan, Plan International, Oxfam, Shirkatgah, Aahung, Save the Children and Aurat Foundation are just a few examples. Putting an end to child marriage in Pakistan requires a long-term and sustainable approach, and should be part of broader development efforts in the country. Expected change will take place within our communities when it is supported and catalysed by collective efforts from the public and private sector at local and national level. Just like across the globe, child marriage directly hinders the achievement of six out of eight Millennium Development Goals 2015 for Pakistan. Simply put, Pakistan will not be able to fulfil its commitments to reduce poverty unless it tackles child marriage; until we achieve this, Maria and countless others like her will continue lamenting an unfulfilled childhood. *Name has been changed to protect the privacy of the victim. Unlike other commentators, I care very little for what goes on in the west (unless the ripples are felt our side of the pond that is). The dissemination of such knowledge is extremely pertinent, kudos to the writer for not only taking up the subject but handling it so well. Having said that, this topic feels incomplete without having taken on the ‘Mullah argument’ re child marriages as that seems to be the major stumbling block in enforcing such laws. born because of live in relationship. No it has not. Also the girls are not forced to marry anyone, and an adult marrying a minor would land him in jail right away. The girl has the right to terminate pregnancy and lift herself back into a normal life, or if she chooses to give birth she can get counselling, child support, single mother support, etc etc. Marrying a child gets you a pure wife???? And you attribute this horrendous thought to Muhammad (saw) the best among mankind? Ayesha (r.a) is the greatest scholar of Islam, she could not have been a six year old. The evidence relating to her six-year-old age is sourced from one lone man, and it refutes other evidence, both physical and logical. Omg. This way you get a pure wife. Seriously? By that reasoning how about marrying them at 2 or right after their mother gives birth to them. What sort of a sick mentality is this?